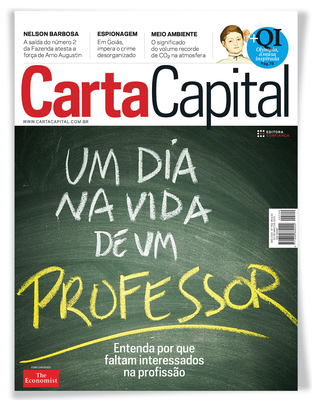 Transform's Steve Rolles and Lisa Sanchez were interviewed by Willian Vieira for the Brazilian magazine Carta Capital. As only a few sections of the interview were used in the final printed feature (and it was in Portugese) we have copied the complete interview below in English. Carta Capital: Even the U.S., who has supported war on drugs policies for the last decades worldwide (Colombia is the best example), has seen a shift, at least in terms of population approval. New polls suggest Americans are tired of spending so much money and having such poor results. Is it a sign of change for the rest of the world, that tend to follow American policies? Will it have an impact on UN? In the US there is now a majority that supports legalisation of marijuana for the first time, and more than 70% think the war on drugs is not working. These are hugley important shifts, particularly in the context of historic and ongoing bi-partisan opposition to substantive reforms such as legalisation. But the changes go beyond public opinion - rhetoric from the White House and ONDCP has notably shifted away from the more hawkish 'war on drugs' tough-talk towards a greater emphasis on health and treatment. Even though policy change has yet to match this rhetoric it is striking that the US Drugs Tsar has said that he 'ended the war on drugs' and Obama has said legalisation is now 'a legitimate topic for debate'. It is also more than just debate. As well as 14 states decriminalising possession of marijuana and 18 allowing provision of medical marijuana, Washington and Colorado states have become the first jurisdictions anywhere in the world to legalise and regulate non medical cannabis production, sale and use. So the US, even though it is the spiritual home of the 'war on drugs' is ironically now also leading the way on drug law reform, at least for cannabis. It is adding to the global momentum for change but also following the wider global trend in looking for alternatives to the historic failings of the punitive enforcement based approaches. The reforms in the US are creating space for long held views critical of the status quo and supportive of reform to be publicly aired in high level political forums around the world, and this is nowhere more true than in Latin America. With challenges to prohibition unfolding within US borders, the authority of the U.S. to impose its 'war on drugs' in its bilateral relations, in regional forums, and at the UN are dramatically diminished. We can already see this dynamic playing out - objections to Latin state reforms are now much more muted than a decade ago; the OAS has undertaken the first ever review of alternatives approaches; at the request of Latin governments the UN has agreed to a General Assembly Special Session in 2016 to look at the impacts of the current system and consider alternatives. Calls for change from Latin countries are becoming more frequent, vocal and confident- and are no longer just the preserve of former presidents. Now it is sitting presidents getting directly and publicly involved. Carta Capital: In its 2008 World Drug Report the UNODC acknowledged that choosing an enforcement-based approach was having a range of negative "unintended consequences", including the creation of a vast criminal market, displacement of the illegal drugs trade to new areas, diversion of funding from health, and the stigmatization of users. Its costs are soaring. 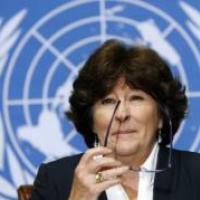 But when Uruguay defended its new policy in the UN, the answer was lukewarm, if not negative. Why has UN been so afraid of taking action? Why international agencies like UNODC are so cautious about changing its policies, policies that so clearly don't work? These comments in the 2008 WDR were a hugely significant acknowledgement, even if they were lost on page 216 of a huge report and have only recently found broader exposure. Whilst the UNODC can generate this sort of analysis, ultimately is duty bound to reflect the will of member states - and whilst the consensus behind global prohibition is fracturing, it still just about remains in place. The global drug control system has created its own bureaucracy, interest groups and power structures - many of which intersect with other geopolitical and strategic interests. These groups are unsurprisingly now defending those interests, but their ability to stifle dissent is rapidly evaporating in the face of ever growing public discontent with expensive failure. The 'war on drugs' paradigm has, however, become deeply entrenched in the political system and it is very difficult to challenge. By adopting a narrative based around the 'evil' of drugs that we have a duty to 'combat' (this is the language used in the preamble of the 1961 UN convention on drugs) any questioning of that system is seen as weakness, surrender or somehow being 'soft on drugs'. 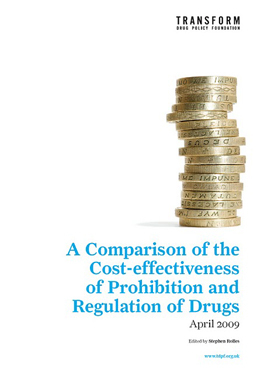 The harms of drug misuse and addiction have also become confused and conflated with the harms of drug law enforcement; the negative 'unintended consequences' the UNODC and NGOs such as www.countthecosts.org have identified. This single amorphous 'drug threat' fuels a circular logic in which harms created by the drug war are used to justify its continuation or intensification. It is important to acknowledge that like the US, the rhetoric of the UNODC has started to shift - while they still oppose treaty reform the have spoken of the need to make the treaties 'fit for purpose', acknowledging that they were drafted in a world very different to today (the key 1961 treaty was drafted in the 1940s and 50s). UNODC rhetoric has also increasingly emphasised the need to focus on public health and human rights and has given tacit if not explicit approval to decriminalisation of drug possession and use. 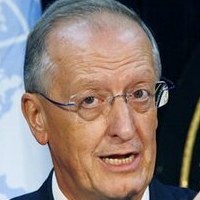 Uruguay and other reform minded countries are not attempting to undermine or overthrow the global drug control system, but instead preserve its undoubtedly useful functions - including regulation of medical drugs - whilst introducing flexibility for states or regions to experiment with alternative models of drug control including regulated markets. Demand for drugs exists whether we like it or not; we can choose to have the markets that meet this demand controlled by governments or gangsters - there is no third option in which drugs magically disappear. It is also important to be clear that, as the UNODC has acknowledged (in the 1997 WDR - under the then UNDCP), the drug treaties 'are not written in stone'. As with all treaties, mechanisms exist for their renegotiation and reform. More importantly perhaps is that to effect such reform would require a critical mass of states to demand they are updated to make them more appropriate to the challenges we are facing today. The importance of Brazil in any such process cannot be understated. It is also worth noting that New Zealand is introducing new legislation this year that allows for Novel Psychoactive Substances (NPS) not covered by existing international legislation to be legally brought to the market if they meet certain safety criteria and are produced and sold within a very strict regulation framework. When this model was proposed at the UN - framed as a tough response to an intractable problem - it was met with a surprising level of support, including from the UNODC. In many different ways it is clear that the groundwork is being laid for a more fundamental reform of the international drug control regime. The days of of an inflexible dogmatic global prohibition model are numbered. 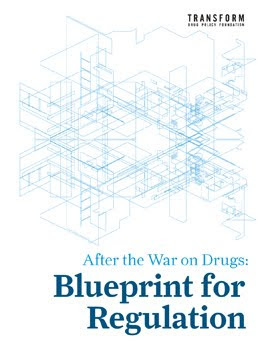 Carta Capital: The "After the War on Drugs: Blueprint for Regulation" offers specific models for regulating drug offer, with a 'hierarchy' among different drugs and specific systems to offer and control its use. Some specialists talk about a different violence level here and deeper social problems. How possible would it be to apply such a system in Brazil and other Latin American countries, for instance? It is important to be clear that we are not talking about an overnight revolution but a period of phased change over a number of years. This process will be defined by a gradual shift from punitive enforcement to more pragmatic health and social interventions. In practice it is likely to begin with wider decriminalisation of possession, more innovative harm reduction responses, and experiments with cannabis market regulation. It will involve pilot studies and careful evaluation to test the validity and impacts of different models and can be informed by experiments elsewhere in the region, and the world. The possibilities for regulation of certain stimulants - at some stage potentially including cocaine - will proceed cautiously but are likely to be informed in particular by innovative emerging models for NPS ('legal highs') regulation such as those in New Zealand. 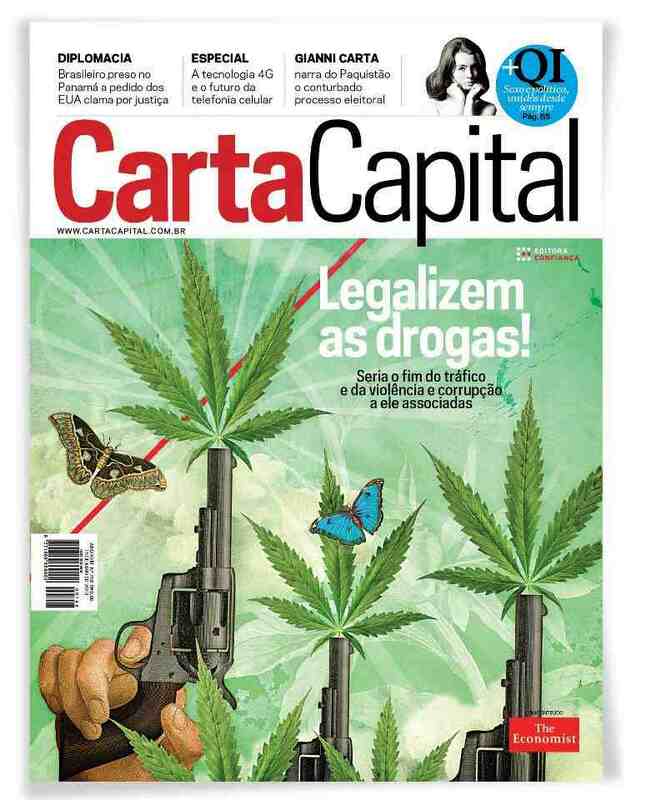 Reforming the laws to allow decriminalisation or legalisation and regulation of certain drugs is not a panacea, but it could bring significant benefits to Brazil, the region and indeed the world as drug profits for organised crime reduce, and the crime, violence and corruption problems associated with those markets contract as well. There is potential for the substantial resources currently spent on futile and counterproductive enforcement to be redirected into other policing priorities, proven health interventions and social programs, and building the institutions that will be needed to regulate drugs in a post prohibition world. No regulation model can be perfect - but any level of government regulation seems preferable to the current situation where market control defaults to violent organised crime networks. 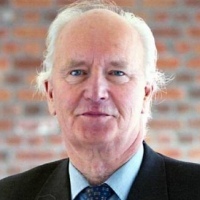 Institutional capacity will need to be strengthened and this will be a challenging process, but the reality is that the crime and corruption fueled by the war on drugs actively undermines institutions; moving towards greater market regulation and disempowerment of organised crime creates an environment in which institution building becomes possible, as well as freeing up resources to facilitate the process. Carta Capital: Brazil has its peculiarities. It has major drug trafficking gangs controlling whole areas (selling cocaine, mostly) and has a crack problem, that afflicts mostly poor areas and poor people. Would legalising marijuana (and other drugs) possession for users make possible to spend better the money on fight the social problems of drugs, like crack addiction? And also diminish the gangs influence? What could be the best model to adopt, the Portuguese, the Dutch, the Uruguayan? For the specific challenge Brazil is facing with crack, innovative harm reduction responses can be explored as a starting point, based on evidence and pragmatism rather than populist enforcement responses. An example may be experimenting with cannabis as a substitute for crack that is now being tried in Bogota. In the longer term the key will be to use market regulation to progressively change the nature of drug using culture - this could involve, for example, making less risky stimulants more available, and putting increasingly heavy restrictions on the more risky products. The illegal market does the exact opposite - creating incentives to market the most potent, risky but profitable products to the most vulnerable members of society. There are no perfect solutions but we can do better if we think creatively, have the courage to experiment and are willing to follow the evidence. It is vital that Brazil more actively engages with regional and global debate on drug policy reform. With its power and influence Brazil can be a potent advocate on the international stage in highlighting the tragic failure of the war on drugs and leading the debate around alternative approaches that can help deliver our shared goals of a safer healthier society. On Friday, 17 May, in Bogotá, Colombia, Organization of American States (OAS) Secretary General José Miguel Insulza will present Colombian President Juan Manuel Santos with the groundbreaking outcomes of a high level drug policy review. Mandated by 34 heads of state – including the US - at the 2012 Summit of the Americas in Cartagena, this report marks the first time in history that a high level multilateral agency has given serious consideration to the failings of current policies and potential alternative approaches, including decriminalisation and legal regulation. This report provides a groundbreaking visualization of alternatives to the existing regime – in the form of four scenarios of how drug policy and law could develop between now and 2025. These scenarios significantly include one involving the emergence of legally regulated markets for some currently prohibited drugs and explores how the international drug control system evolves to incorporate these developments. May 20-22: in Washington, the OAS report will be presented and discussed at the 53rd Regular Session of the Inter-American Drug Abuse Control Commission (CICAD). June 4 – 6: The OAS will hold its next General Assembly in Antigua, Guatemala. Drug policy will be the main item on the agenda. See also the civil society declaration to inform the General Assembly, which included mention of legal, regulated markets for cannabis. March 2014: The UN Commission on Narcotic drugs meets in Vienna for its annual gathering including the 5 year half way review of the current 10 year drug strategy (very much rooted in the status quo that the OAS report is critiquing). 2016: The United Nations General Assembly has convened a special session on drugs in 2016, at the behest of the same Latin countries that instigated the OAS drug review process. The OAS reports will doubtless be a major shaping influence on the UNGASS preparations and discussions. The United Nations' role in shaping and enforcing global drug prohibition becomes stranger with each passing day. On the one hand, the United Nations Office on Drugs and Crime (UNODC) implements the three UN drug conventions that form the legal basis for the global 'war on drugs' and ensures member states don't deviate from the punitive enforcement model the UN system has built. On the other, the wider family of UN agencies is concerned with guaranteeing UN principles of health, human rights, peace, development and security. The war on drugs has, even by the UNODC's analysis, both failed to deliver on its stated goals, and had a series of disastrous unintended consequences - specifically undermining health, human rights, peace, development and security. This has inevitably created tensions between various UN agencies and led to increasingly contorted rhetoric from within the UNODC itself - as it attempts the impossible task of reconciling drug-war rhetoric and overwhelming evidence of prohibition's failure with the principles of the UN. 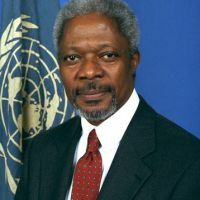 These tensions and contradictions become all too evident in the public statements from many UN officials, now often openly or implicitly critical of the letter and spirit of UN's own prohibitionist drug policy and legal systems. 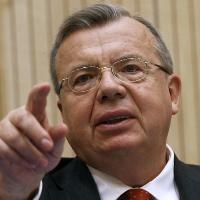 Even Executive Directors of the UNODC itself have departed from the prohibitionist orthodoxy. 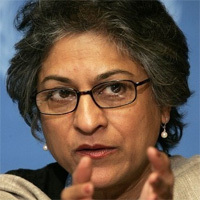 The range of views held by officials in other UN agencies also reflects the lack of "system-wide coherence" within the UN, with many questioning the criminalisation of users at the heart of the punitive paradigm (particularly in relation to HIV and people who inject drugs), with others going even further and advocating market regulation approaches, specifically outlawed by the UN conventions. Below is a selection of some of the most high-profile critics of the war on drugs to come from within the UN itself. "[initiatives such as] large-scale arrests of young drug users under the 'war on drugs' programmes ... can be counterproductive and can keep large numbers of at-risk groups and people living with HIV from accessing even the limited services being provided by the countries." 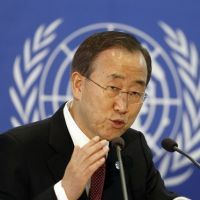 "we need to to review legislation that risks hampering universal access - in cases where vulnerable groups are criminalized for their lifestyles"
"I look to the United Nations family and the donor community to help advance the implementation of the report’s recommendations, including through financial and technical resources." "Today, we are staring at a new drug horizon where those willing to take these substances have become the participants in a lottery that puts lives at risk. Users are potentially one tweaked molecule away from death … Innovative approaches should be applied. For example, New Zealand has enacted creative legislation that places the onus of proving the substance is safe on the seller." "We must look into what must be done in national frameworks to see what can be done to protect the health and rights of people, so that people are not treated as criminals, but as patients, in full respect of their human rights." How such statements will translate in a substantive shift in UNODC mandated policy and law remains to be seen, but they at least highlight the inconsistency in holding such views while at the same time maintaining the prohibitionist status quo. the discrimination faced by many people who use drugs. "there is a spirit of reform in the air, to make the [UN drug control] conventions fit for purpose and adapt them to a reality on the ground that is considerably different from the time they were drafted". "permit parties to respond to [drug-related activities] proportionally, including through alternatives to conviction or punishment for offences of a minor nature", and arguing "it is clear that the use of non-custodial measures and treatment programmes for offences involving possession for personal use of drugs offer a more proportionate response and the more effective administration of justice." "To deal with drugs as a one-dimensional, law-and-order issue is to miss the point ... We have waves of violent crime sustained by drug trade, so we have to take the money out of drugs ... The countries in the region that have been ravaged by the armed violence associated with drug cartels are starting to think laterally about a broad range of approaches and they should be encouraged to do that ... They should act on evidence." 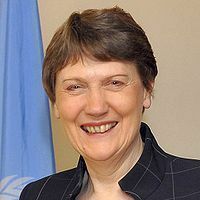 Some of the political tensions within the UN are visible from the defensive press release that UNDP immediately issued following Clark's comments. "that there is a need in the long term to consider alternatives to the current drug control system. One such alternative model may be the Framework Convention on Tobacco Control, in which certain controlled medicines would be regulated in a manner similar to tobacco." 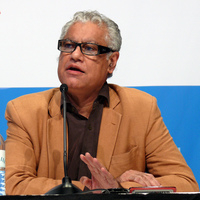 "Punitive laws and policies, whether via prohibiting the provision of sterile injecting equipment and opioid substitution therapy, criminalising drug use,possession of injecting paraphernalia, or denying HIV treatment to people who use drugs, violate people’s right to health and harm the community." "End the criminalization, marginalization and stigmatization of people who use drugs but who do no harm to others. Challenge rather than reinforce common misconceptions about drug markets, drug use and drug dependence. Encourage experimentation by governments with models of legal regulation of drugs to undermine the power of organized crime and safeguard the health and security of their citizens."